A blank project file can be daunting, especially if you’re new to project management. But with a few clicks, you can tap the power of Project to convert your to-do list into a full-fledged project for you to manage and share with your team and stakeholders. Click View > Gantt Chart. 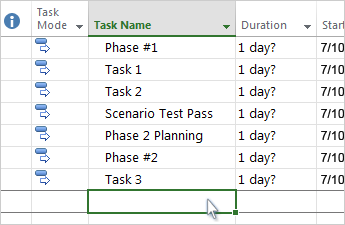 Type a name in the first empty Task Name field at the bottom of the task list, and press Enter. Add multiple tasks at once. Cut and paste a list from another program. 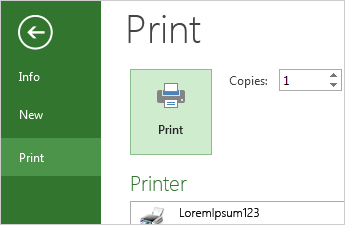 Import a tasks list from a SharePoint site. Indent and outdent tasks to show hierarchy — that is, to turn your task list into an outline of your project. An indented task becomes a subtask of the task above it, which becomes a summary task. 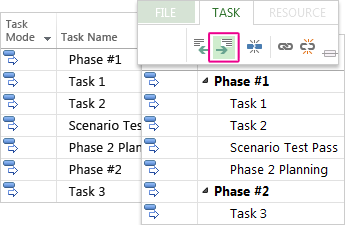 In the Task Name column, click the task you want to indent. Click Task > Indent Task . The task becomes a subtask. Click Outdent Task to move the task back to the level of the task above it. It’s no longer a subtask. Want more? Use subtasks and summary tasks to show phases, easily navigate through a large project, and more. 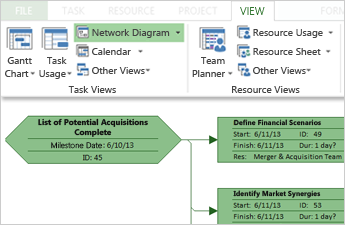 You can link any two tasks in a project to show their relationship (also called a task dependency). Dependencies drive the project schedule — once you link the tasks, every change you make to one affects the other, which affects the next one, and so on. 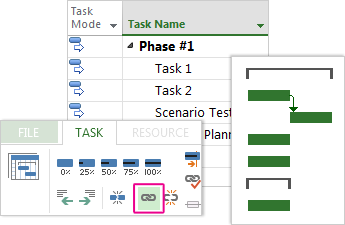 Hold down Ctrl and click the two tasks you want to link (in the Task Name column). Click Task > Link the Selected Tasks . Want more? Project supports four kinds of task links to show different relationships. Want to change the link type or remove the link completely? Project starts you off with the tried-and-true Gantt Chart, but you have dozens of other options for viewing your tasks and resources and how they’re all connected. You can change any view to meet your specific needs. To see all the available views, click Gantt Chart > More Views, and then choose from the options in the More Views dialog box. Want more? There’s a lot more to learn here! Need some help choosing the right view of your project? How do I change the working days for a project? How can I show the critical path? What do the symbols next to my task mean?